The color is almost the same as that of the 10 Year Old and the ABV is slightly higher. But that’s where the comparison ends. This one smells medicinal as well, but less sweet and even less peated than the classic 10 Year Old. I’m left wanting a bit. I hardly dare say it, but I’m reminded of something similar to cold tea. Hmm? On the palate it is very soft, almost silk, but rahter oaky, drying your mouth. I get a touch op peppermint, before the peat comes back in full force with touches of citrusfruits in its wake. I also get some chocolate. This one is much softer than his younger brother, much to my surprise. Also a lot more complex. Very good. The finish is long and dry. Quite the body, but to be fair: the nose let me down a bit. This expression is rather hard to find these days as it was replaced (as of March 2009) with the 18 Year Old. I've had the 18 year old, and loved it! 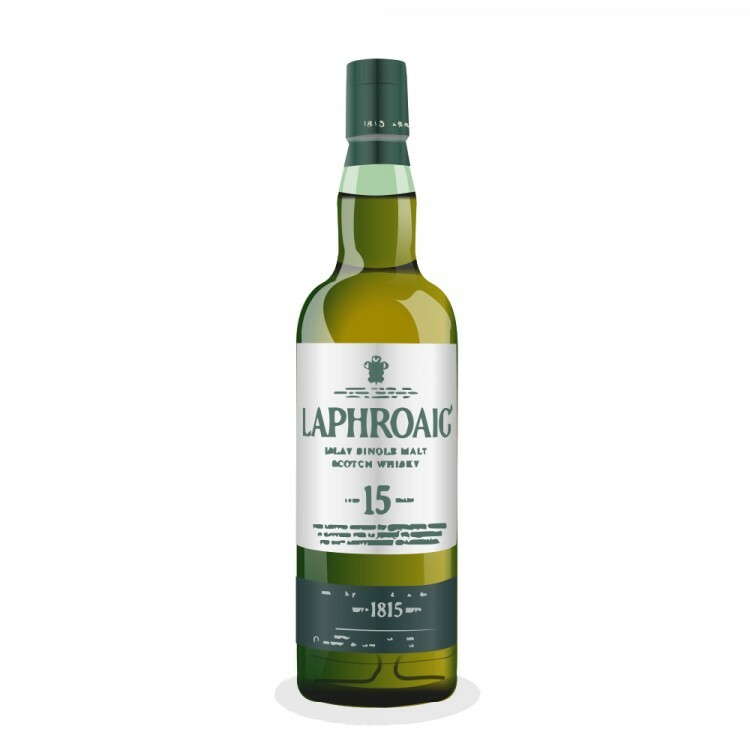 When I bought it, they had both on the shelf, and the gentleman behind the counter said, sure, the 15 year old is nice, but for a small bump in price, you could try the 18 year old, and he thought it was one of the best drams brought out in the past 18 months. So naturally I bought the 18 year old, and it was fantastic! 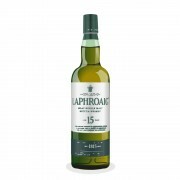 The 15y old Laphroaig, in my opinion, unites the best from the 10y old and the 18y old into one whisky.